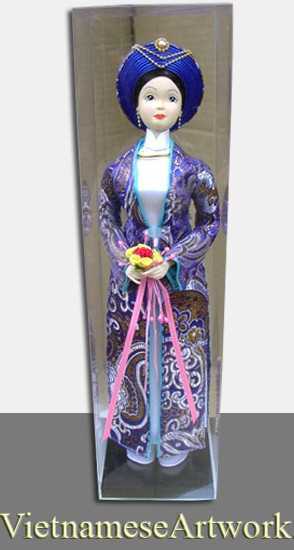 This dolls has the royal outfit (imitating the outfit of the last queen of Vietnam, Nam Phuong's queen (The wife of the King Bao Dai). Today, many vietnamese brides wear this outfit in wedding ceremony. Everything is hand made by Mr. Hoang Kim.